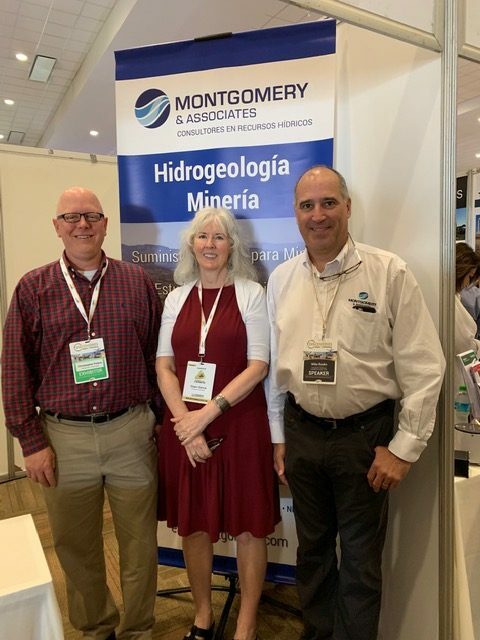 Montgomery & Associates (M&A) is pleased to announce that Chris Peters, P.G., and Mike Rosko, P.G., are participating in the 2019 Discoveries Mining Conference in Mazatlán, Mexico, this week. Chris is a senior hydrogeologist in the Tucson office, and Mike is a principal hydrogeologist, vice president, and operations manager in the Santiago office. Mike gave a presentation titled Groundwater Exploration and Development in Arid and Semi-Arid Regions on Tuesday, April 2. Other speakers at this year’s event include executives, geologists, and consultants from a variety of organizations related to the mining industry. The mission of the annual Discoveries conference is “to contribute to the responsible and effective development of Mexico’s mineral resources, to disseminate valuable information for the mining industry, and to promote business,” according to the conference website. Headquartered in Tucson, Arizona, M&A has U.S. offices in Phoenix, Colorado, Nevada, Utah, and multiple locations in California, as well as South American offices in Chile and Perú. For more information about our services, contact Chris or Mike, or visit elmontgomery.com. Pictured, from left, are Chris Peters, M&A senior hydrogeologist; Dawn Garcia, hydrogeologic consultant; and Mike Rosko, M&A principal hydrogeologist, vice president, and Santiago operations manager at the 2019 Discoveries Mining Conference.